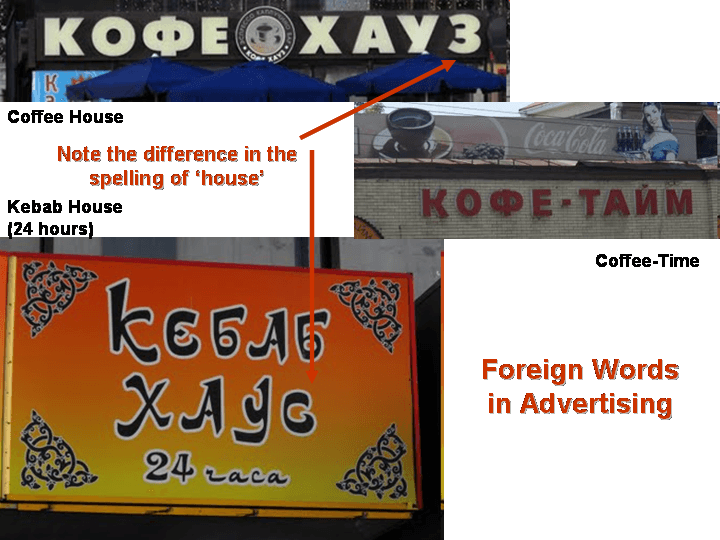 Home » Russia, Ukraine & the Caucasus » Should the Russian Language Be Cleansed of Foreign Words? Комитет Госдумы по культуре рекомендовал палате принять законопроект о штрафах за неоправданное использование иностранных слов в случаях публичного распространения информации на государственном языке РФ. В законопроекте предусмотрены штрафы от 2,5 тыс. до 50 тыс. Languages often borrow words from one another. But just as this process is ubiquitous, it often becomes ideologically and politically fraught. 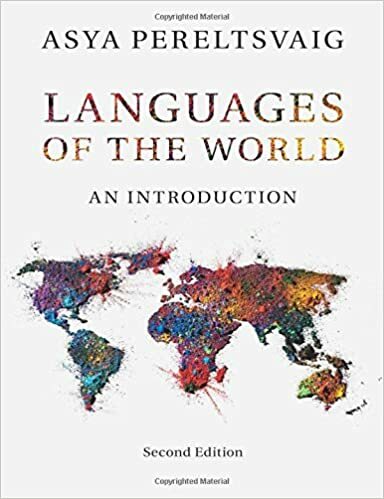 Politicians and bureaucrats—though typically not the ordinary speakers of a language—often feel that foreign words violate the purity of their language. For example, Académie française (French Academy) is upset about words such as le weekend and le hotdog, while the French themselves continue to use them. Similarly, Israel’s Academy of the Hebrew Language has tried to ban many borrowings, though its Hebrew name has just such a word, academia, and many a loanword are used by native speakers. The Russians too have experienced several waves of foreign-word purges, and yet another attempt to cleanse the language of loanwords is underway now. A couple of weeks ago, Vladimir Zhirinovsky—one of Russia’s most popular and most populist politicians— put forward a law that would ban the use of “Americanisms” and other foreign words. While this proposed ban may seem farcical to some people, especially given the failure of previous such attempts (as discussed below), the real reasons behind it are much deeper and more sinister than may appear. According to Zhirinovsky’s proposal, a list of particularly “bad” foreign words is to be compiled, and people who continue to use them, especially in the public sphere and the media, would be fined and could even lose their jobs. 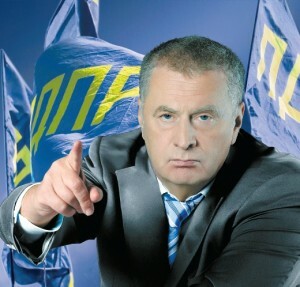 This scheme is very much in line with Zhirinovsky’s overall penchant for bombastic yet half-baked ideas, such as inviting the Japanese, in the aftermath of the 2011 Tōhoku earthquake and tsunami, to leave “the dangerous islands” and move to the Magadan Oblast, which has experienced severe depopulation; another invitation extended around the same time offered Libyan leader Muammar Gaddafi permanent residence in Moscow. Known as the “buffoon of Russian politics” and referred by The Economist as “the … clownish leader of Liberal Democratic Party”, Zhirinovsky is not taken seriously by many people. Yet this proposal to purge Russian of foreign words has a positive ring to it, even for many of those who are not his fans, if the comments on Zhirinovsky’s official party website are any indication. Why use “American words” when we have our own, the sentiment goes. And how hard can it be to make a list of some 100 English words to be replaced by Russian counterparts, asks Zhirinovsky on the party website. After all, he adds, they did a similar thing in Turkey, purging it of Arabic-influenced vocabulary, didn’t they. Among the words that Zhirinovsky wants to see banished from the Russian lexicon are diler (cf. English dealer), performans (cf. English performance), butik (cf. English boutique), and sejl (cf. English sale). But despite the attention that his proposal is getting, I do not think that much will come out of this effort, whether the law is adopted or not. 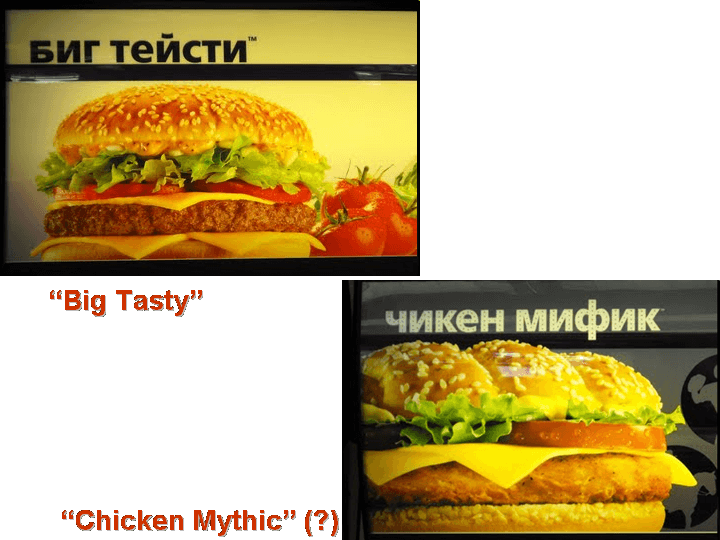 While these most recent loans that so offend Zhirinovsky’s linguistic sensibilities came from (American) English, other languages have contributed much to the Russian vocabulary throughout the years: in the culinary vocabulary alone, apel’sin (‘orange’, the fruit, not the color) comes from Dutch; guljaš (‘goulash’) from Hungarian; šnitsel’ (‘Schnitzel’), kartofel’ (‘potato’), and buterbrod (‘sandwich’) from German; bul’on (‘bouillon’) and kotleta (‘chopped meat patty’) from French; and makarony (‘pasta’) and vermišel’ (‘vermichelli’) from Italian. In the process, they have changed their pronunciation (e.g. buterbrod acquired a voiced final sound, /d/), acquired native Russian feminine and plural morphemes (as in kotleta and makarony respectively), and occasionally even changed the meaning (as with kotleta, which refers to unprocessed meat in French but chopped meat product in Russian). 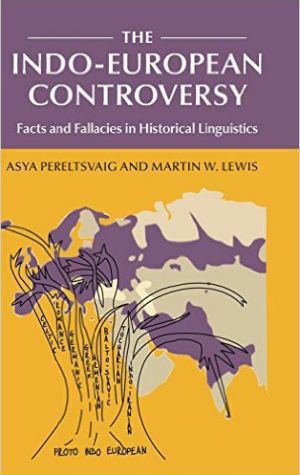 Throughout its history Russian borrowed heavily from Old Church Slavonic, Finnish and other Finno-Ugric languages, Turkic languages (especially during the Mongol period), Polish (in the 17th century), and other languages. Hence, Zhirinovsky’s idea of compiling a list of 100 particularly offensive foreign words to be banned is ludicrous. As was quickly pointed out in the blogosphere, he would have to start with the name of his own party, Liberal’no-Demokratičeskaja Partija, consisting of three borrowed words, and his own role in it, lider (cf. English leader). But despite its absurdity, from the linguistic point of view, the proposed ban has murky undertones, as it was put forward against the background of anti-American, and more generally anti-foreign, sentiment, which has been growing in Russia in recent months. Zhirinovsky’s idea may be at the comic end of the spectrum, but other proposed policies are appalling, even tragic. The saddest of all is the proposed anti-adoption ban, a retaliatory measure meant to “punish” the United States for its passage of the Magnitsky Act in June 2012. This bill is aimed at penalizing Russian officials involved in human rights violations by prohibiting their entrance to the United States and use of the country’s banking system. 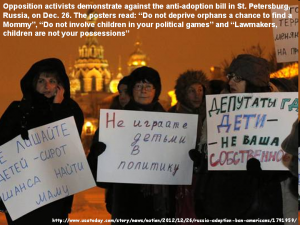 The Russians responded by proposing a ban against American citizens adopting children from Russian orphanages. Although the advocates of the ban claim to protect those potential adoptees, in reality they will be the biggest victims of the new law. Many children in Russian orphanages actually have living parents, but were dumped by them in institutions because of severe health problems; therefore, they are not likely to be adopted by Russians. 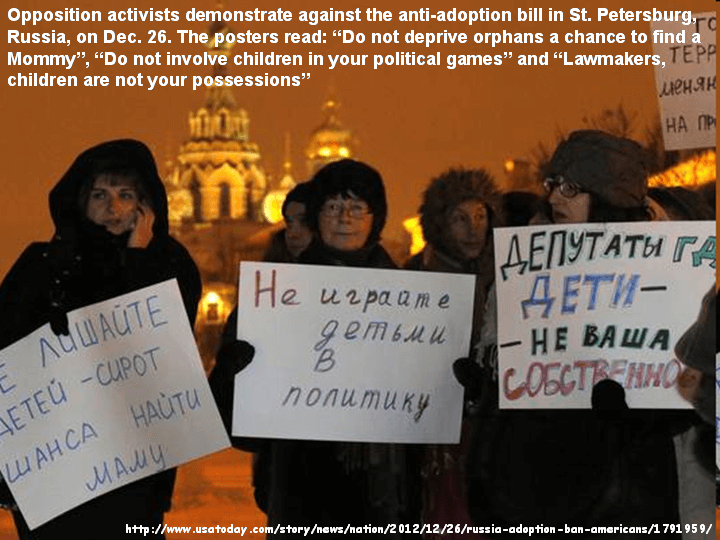 American parents-to-be will probably be able to find children to adopt elsewhere, but the institutionalized Russian “orphans” will likely never find a family to join and will end up in hospices for the elderly when they turn 18, if they live that long. Other recently proposed laws are anti-American in a more subtle way as they target specific individuals, all of whom hold American passports alongside Russian ones. For example, a provision to keep Americans from working in politically-oriented NGOs was directed at Lyudmila Alexeyeva, head of Moscow Helsinki Group and a dual Russian-American citizen. Another proposed law, since rescinded, would have made it illegal for foreigners to appear on state television if they “discredited” the Russian state—a clear message to Vladimir Posner, another dual citizen and a host on Channel One who criticized the Russian Parliament on air for the adoption ban. Such purification efforts continued into the 20th century. In the 1950s, words such as golkiper (cf. English goalkeeper), galoši (cf. English galoshes), and tramvaj (cf. 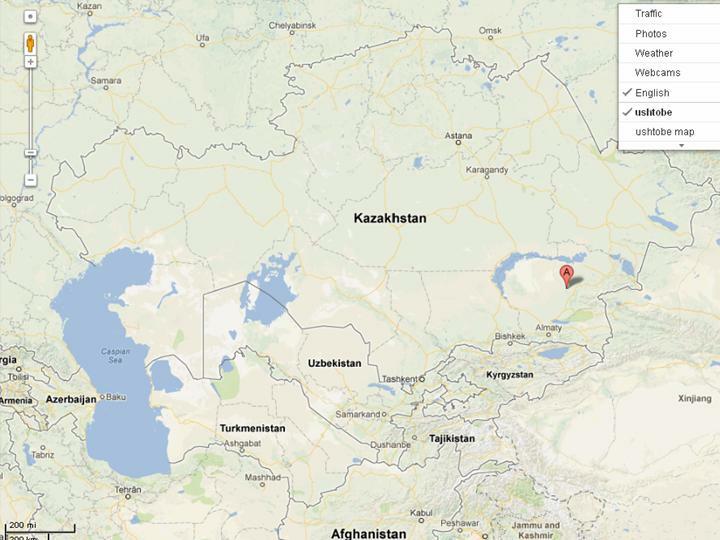 English tramway) were combated. While golkiper was largely lost in favor of native Russian vratar’ (from vrata ‘gates’), galoši and tramvaj established themselves firmly in the language. (The proposed native replacement for galoši, mokrostupy—from ‘wet-step’—disappeared from the language entirely.) In 1951, a famous “patisserie” shop on Nevsky Prospekt in Leningrad, then-known as Nord (cf. French nord ‘north’), was renamed a much less glamorous-sounding Sever (Russian for ‘north’), though many of the city’s inhabitants continued to call it by the old name. The next anti-loanword wave came in the 1980s. At the time, the slang vocabulary of Russian hippies, punks and other rebellious youngsters contained numerous English-derived words, which raised many an eyebrow, such as girla ‘girlfriend’, piply ‘folks’, and parenta ‘parents’. Other common slang loanwords were truzira ‘pants’ and shuzy ‘shoes’; like many other loanwords, these did not mean just any pants or any shoes, but referred specifically to Levi’s jeans and Adidas sneakers, the two particularly respected lejbly ‘labels’. 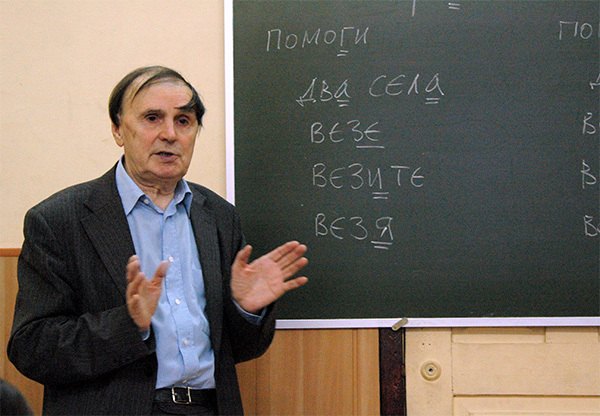 In the 1990s, a wave of words pertaining to computers struck the Russian language; among them login, xosting (‘hosting’), xaker (‘hacker’), and kopipasti (cf. copy-paste). Novelties like popcorn and espresso become both new culinary realities and linguistic borrowings. Business-related terminology came in as well: menagery (‘managers’), imidžmejkery (‘image-makers’), prodjusery (‘producers’), and profajlery (‘profilers’) now participate in piar (from the English PR, public relations), kasting (‘casting’), trening (‘training’), or an occasional stalking (‘stalking’) perhaps. В Европу прорубить окно To cut a door to Europe wide. В Россию можно только верить. 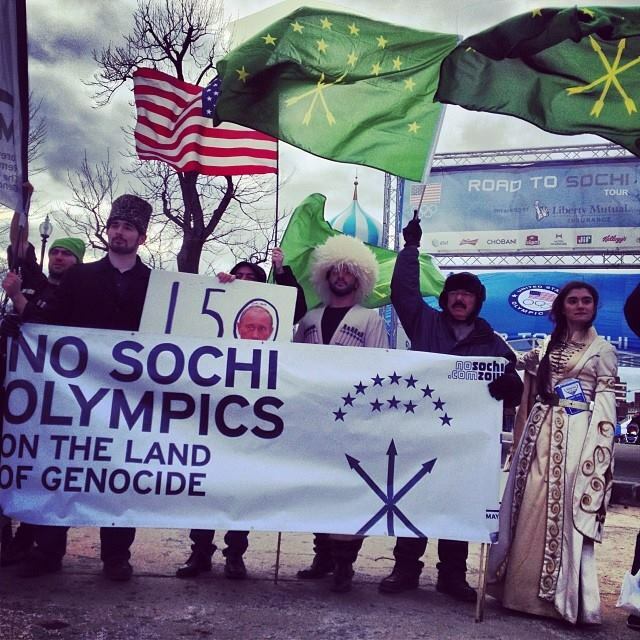 Russia you can only believe in. The opposition of Western and Slavophile ideas, concepts, and characters is reflected in Russian literature, music, architecture, even cuisine. Politicians too oscillate between the two extremes. Vladimir Putin, much like Joseph Stalin before him, started his political career as a Westernizer, but in recent years has been shifting towards Slavophilia. This policy change is exactly what is behind the recent wave of anti-Americanism. So perhaps we will yet see an up-to-date version of the old slogan, which started in the 1920s as Segonja on igraet džaz, a zavtra Rodinu prodast! (‘Today he’s playing jazz and tomorrow he’ll sell the Motherland to the highest bidder!”), and in 1980s was transformed into Segonja nosit Adidas, a zavtra Rodinu prodast! (‘Today he’s wearing Adidas and tomorrow he’ll sell the Motherland to the highest bidder!”). *In Old Russian the word nemec referred not specifically to Germans, however, but to any Western foreigners who do not speak Russian or a related Slavic language such as Polish. The root of this word in nem- meaning ‘mute’. **Pushkin’s metaphor was referenced by Yuri Mamin in his brilliant 1994 comedy Window to Paris, in which inhabitants of a communal flat in an old St. Petersburg building discover a warp in the time-space continuum that allows them to step out of a window and into the streets of Paris. But while Window to Paris examines what too much Western influence can do, another one of Mamin’s films, Sideburns, warns of the dangers of taking a Slavophile national idea too far.